How do you handle it when a toddler admits to a lie? 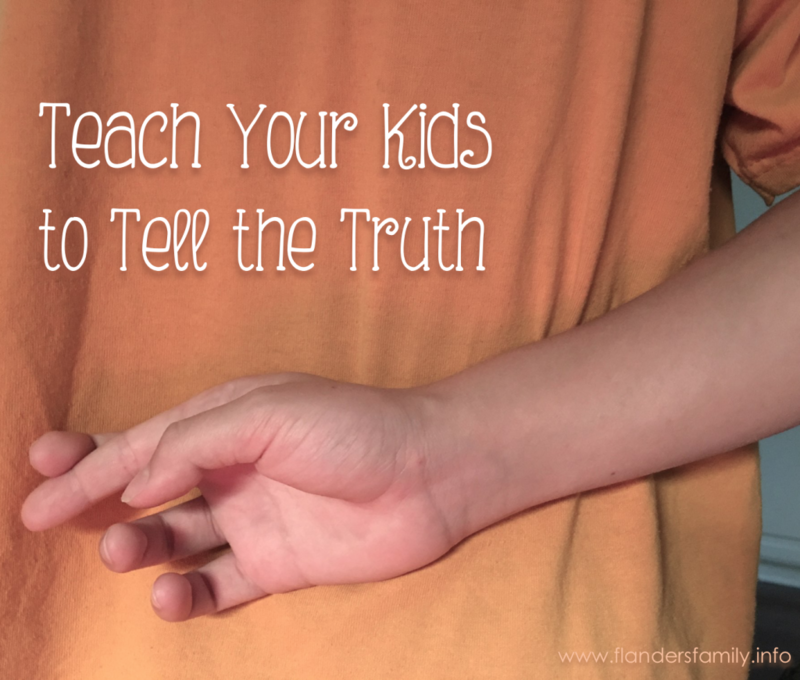 I want to teach my 2.5 year old son that lying is bad, which in our family usually means discipline. But I don’t want my discipline for the lie to make him afraid to admit to lies in the future. We consider lying a very serious offense in our family, too. That is how our parents raised us, and it’s how we’ve tried to raise our children, as well. If my parents ever discovered on their own that I had lied to them, I would be in much hotter water than if I came and confessed the lie to them myself. Lying was a spankable offense, but I’d get fewer licks if I admitted the lie than if I persisted in it and was later proven guilty. It is almost impossible to tell a single lie. When you tell one lie, it often becomes necessary to tell another to cover up the first, and so on and so on. Before you know it, you have a hard time remembering what is true and what is false. Who would want to live that way? Once you’ve been caught telling a lie, it causes people to question everything else you say, even if you normally tell the truth. You do yourself an enormous favor (and protect your reputation) by always telling the truth. Even though I might get away with lying to my parents, God is never fooled and will make certain the lie does not go unpunished. One of His ten commandments was against bearing false witness, so we can be sure He takes lying seriously, too. Those guidelines were enough to keep me scrupulously honest, both as a child and as an adult. The few times I remember telling a lie as a child, it weighed so heavily on my heart that I wasn’t able to sleep at night until I’d made things right. The last time I remember intentionally telling a lie as an adult was over twenty years ago. Our new puppy bit a man who’d come to steam clean our carpets, and he asked whether the dog was current on all her shots. Fearing a potential lawsuit, I told him yes — even though I knew she had not yet been vaccinated against rabies, which was obviously the one he was concerned about. No sooner had the lie escaped my lips than I felt an almost unbearable sense of guilt over it — so much so that, before the man left our house, I confessed my dishonesty and offered to have the dog examined if it would give him peace of mind. The money it cost to board the dog for two weeks’ observation was a small price to pay for a clear conscience, and I’ve been very careful never to knowingly lapse again!